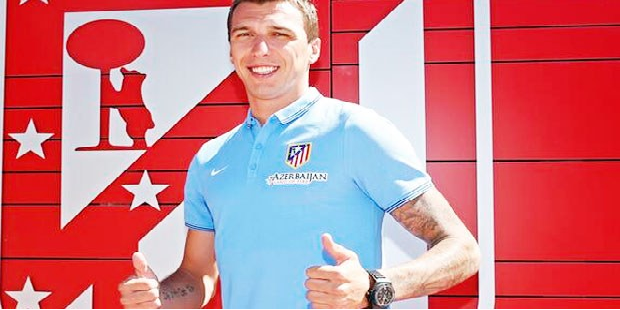 There was unabridged excitement in the Basque city of Bilbao last summer as Argentine tactician Marcelo Bielsa was named as the new coach of Athletic Club. And who could blame the fans of los Leones? The man known as el Loco was renowned as one of the most attacking coaches in world football and had already earned some glowing reviews as his unfaniced Chilean national team played some of the most exciting football at the 2010 World Cup in South Africa. The excitement may have waned somewhat in recent months, as Athletic lurch at the wrong end of the table with reports of unrest spreading through the squad, however, the campaign of 2011/12 will be forever remembered as the season when Athletic blazed an exciting trail of beautiful football across Spain and beyond. 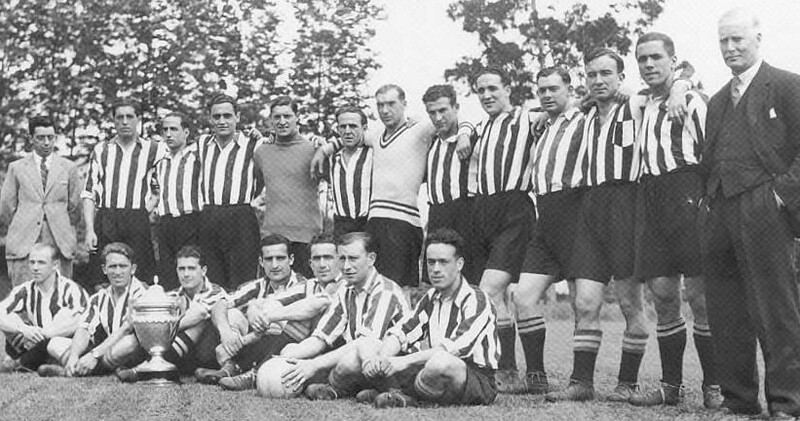 Bielsa isn’t the first coach to bring revolutionary, attacking football to San Mames however, in fact it could be argued that the short-passing game now employed by many teams, most notably Barcelona, actually originated in the industrial city of Bilbao almost 90 years ago when a visionary named Fred Pentland arrived in the Basque country. Born in Wolverhampton, Pentland played for a number of English teams including Middlesbrough, QPR and Blackburn in a fairly unspectacular career lasting from 1903 to 1913. As a coach however, he most certainly was spectacular. Pentland was an advocate of the passing game; he made sure his players played the ball to feet. No kick-and-rush, no over-reliance on brute strength, just simple passing and movement. However it was not England who benefited from this revolutionary coach with such expansive and original ideas. Fred Pentland was your typical eccentric English gentleman; complete with a bowler hat and large cigar. Certainly not a person you would imagine is responsible for the beginning of Spain’s glorious footballing philosophy. Before making his name in the country, Pentland had already coached both Germany and France to the Olympics as hard as that is to believe nowadays. Back then however, many British coaches went abroad to achieve great success. In truth, there were very few opportunities back home to implement different styles and tactics in football. England was rooted and stubborn. Their way or nothing. He joined Racing Santander in 1920 and, after only one year, he was snapped up by Basque giants Athletic Club. Pentland truly announced himself in Bilbao, becoming one of the most forward-thinking coaches ever to grace the game. The man known as ‘el mister’ to his players, a term still used for any La Liga coach today, revolutionised the famous club. He also put his own stamp on the side; from the way they played the game, to making sure his players tied their boot laces correctly. Spanish football had not seen anything like it, and it soon began to pay off as he led the side to Copa del Rey victory in 1923. Despite the cup win, two trophy-less seasons followed and a feeling of restlessness grew. He soon moved on and managed both Atletico Madrid and Real Oviedo at different times from 1925-1929, during which he guided Atletico to victory in the Campeonato del Centro. He also helped coach the Spanish national side in 1929 and – as if it was planned all along – he inflicted England’s first defeat to a non-British nation as Spain beat them 4-3. By this time, Pentland’s managerial ability had made him one of the most sought-after coaches in Spain. 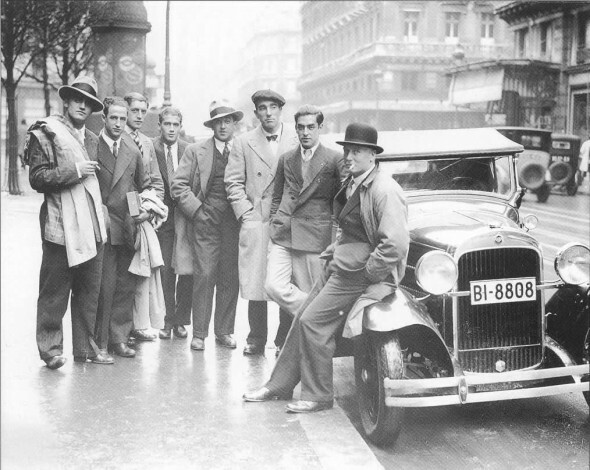 Athletic Club persuaded the Englishman to return north soon after, where he went on to guide them through the greatest period of success in their history. After laying down the foundations in the early 1920’s, the Basque’s had taken his blueprint and mastered it further. In his first season back, Pentland comfortably delivered the league and cup double. The success continued into the following season as another league and cup triumph was repeated. The Copa Del Rey was eventually won four times in a row from 1930-1933, with the side finishing runners-up in the league in 1932 and 1933. Athletic Club were by far the best team in Spain. Their attractive possession football and prolific goal scoring ability left its mark on the Spanish game that is still felt today. Athletic’s 12-1 demolition of Barcelona during Pentland’s reign, remains the heaviest defeat in the famous Catalan club’s history. Probably the greatest testament to Pentland’s philosophy however, is the fact that the rest of Spain soon followed in his footsteps. Barcelona and Real Madrid, to name but two, adopted the Englishman’s patient passing style. They played in much the same way as he had set out his Bilbao side in the early 1920’s. From this change, they began to regularly deliver trophies and have not looked back since. Fred Pentland is certainly not remembered in his homeland like he is in Spain, and particularly Bilbao. It is likely that his ideas were too much for him to settle in English football. 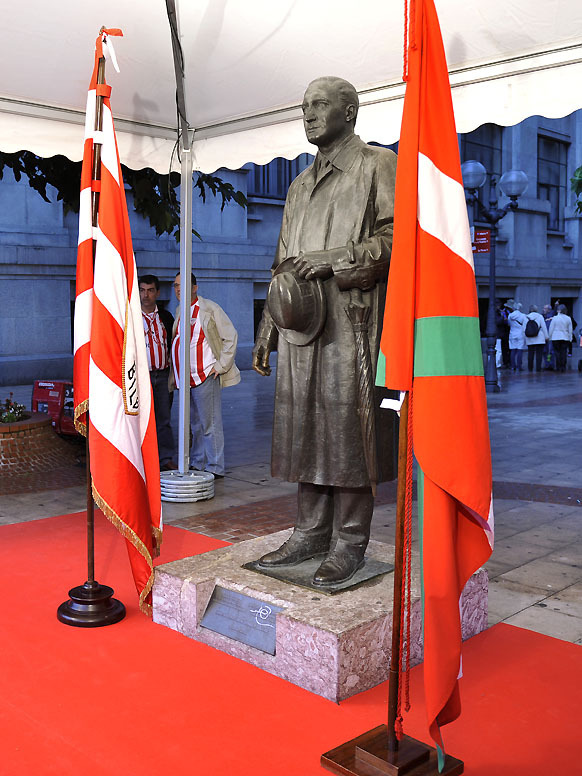 Not that it matters, as he is revered as a true legend in the history of the Basque club. They accepted his footballing philosophy, and developed it into their own footballing identity. So next time you hear an English commentator wax lyrical over Barcelona’s imperious style or the sheer class of Spain, it is worth remembering that they all owe something to the maverick Englishman in the bowler hat.